Beauty, lifestyle, and everything inbetween. This is a highly requested post and I’ve put off doing it for a while as I wanted to see how things panned out. As most of you who have met me in real life or follow me on Instagram (here), I have been dieting and have lost a considerable amount of weight in the last year. WARNING – THIS IS TEXT HEAVY! I started on my weight loss journey on 1st January 2017, I had made it my new years resolution to become fitter and healthier, with this also came the realisation that I had a lot of weight to lose. Following lots of people on Instagram who were super fit and healthy made me realise (not that I didn’t already know) that my lifestyle wasn’t great, I was very overweight and I had already started to see signs that it was affecting my long-term health. My back has always been a problem, being a veterinary nurse means that I am stupid and lift things that are far too heavy for me, it means that I’m far too stubborn to accept help with lifting things and often there aren’t many people around that can help. This became more of a problem at the end of 2016 where it suddenly got a lot worse, I found out that I had herniated a disk in my lower spine (lumbar region) and had to be put on a massive dose of painkillers just to get through the day. The more I thought about it the more I realised (along with the gentle guidance of the doctors) that I needed to lose weight. I got offered to take prescription medications to help me lose weight as my BMI was very high however I felt that it was a journey that I needed to take on my own and didn’t take these. Initially, I started off at the typical place – Slimming World, this was an excellent starting place for me as I wanted something that could keep me motivated whilst losing weight and the groups were very helpful, I had a fantastic consultant who praised my weight loss and kept me on track. I lost 3 stone within four months with Slimming World. Before I had an understanding of nutrition I thought that if I didn’t eat exactly what I’d planned, I’d undo all of the hard work that I’d done. The more I went to Slimming World the more I realised how backwards it was, therefore I decided to research and teach myself a bit of nutrition! I read articles online, medical journals, scoured the internet for information, I even watched Youtube videos on meal preparing and nutrition. The body isn’t meant to lose weight so fast and as a result, I have suffered, I have developed gallstones which are an exceptionally painful condition which can be brought on by a super low-fat diet and sudden weight loss. After all my research I decided that the diet IIFYM (If it fits your macros) would suit my lifestyle perfectly. It meant that I could eat whatever I liked, as long as it fit my macronutrient requirements for the day. I used the app MyFitnessPal to track my macros and still do log them every day. Along with the diet change, I started exercising in February, I started doing the couch to 5k program from the NHS which teaches you to run 5k gradually over 8 weeks. I have to admit I was so unfit that I had to do the week one for three weeks in a row (running 3 times a week) as I couldn’t get past that stage. After I’d mastered running (well… sort of) I started being more adventurous with my exercise, I now lift weights and go to spin class along with running. Something that I never thought I’d be able to do was Tough Mudder, I was conned into (thanks, daddy dearest) signing up to do Tough Mudder earlier in the year. I decided that if I was going to do it, I’d raise some money for charity at the same time. I managed to raise almost £150 for the Blue Cross Animal Charity as well as completing Tough Mudder! I’ve already signed up for next year as it was a great laugh and although I was covered in bruises for weeks, I’ve not had so much fun in a long time. I’d like to extend a special thank you to my dad, he has supported me, pushed me – both physically with a stick whilst running and mentally with encouragement, and he’s brought me my running kit even when I was feeling demotivated! Another thank you to my mum who always encourages me to eat right and also my work colleagues for being the best support even though you all tempt me with tasty foods. So far I’ve lost just under 6 stone and the change in my life has been amazing, I’ve got more energy, better skin, and I feel generally happier! I hope this post has given you some insight into my weight loss and I haven’t bored you too much! 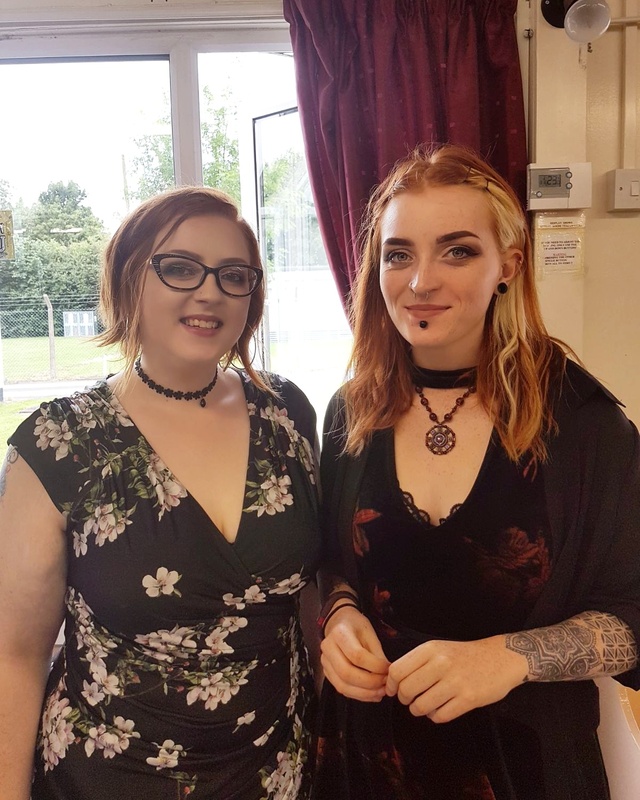 Last week I was invited along to the Roxy Ball Room Nottingham opening event, Roxy Ball Room is located above MOJO in Hockley and is really easy to find. Upon arriving at Roxy, I was pleasantly surprised with the interior designing, it had an upbeat and retro vibe to the place – whilst still feeling laid back, somewhere that you could have a good time with friends. Around the room were games tables of all different varieties – from ping pong to beer pong! There were also booths to sit down and have a drink and chat with your friends. This gets me onto the music – THE MUSIC! From Blink-182 to Eminem, the sound track to the evening was perfect and filled with such nostalgia from an amazing time of my life – think coloured skinny jeans and studded belts era! We had the opportunity to sample the menus, there were several different cocktails available – my favourite being the Ballzee Move which was their take on the strawberry daiquiri which was perfect alongside their wonderful food, from deliciously gooey pizza to excellently seasoned chicken burgers they had something to suit everyone – those garlic dough balls were on a totally different level of awesome. My favourite part of the evening, however, was the photobooth which really made me laugh! After a few drinks (Oops!) we clambered into the TINY photobooth and took some very squashed – but fully photos! I’d recommend going to the Roxy Ball Room to any of my friends and would love to even go back with my work colleagues for a team night out! Intu Jazz and Gin Event! This post should have been up by now, however, due to getting bitten by a cat at work and ending up in the hospital with a load of medication it’s been delayed! This is a post about what has to be my favourite event that the lovely ladies at Intu Victoria Centre has thrown for us bloggers (they really do spoil us rotten!) We were met at the Nottingham Street Food Club by the fantastic Sammy and her wonderful team (situated in the upper mall) and lead inside. I’ve been to the venue before a few times and absolutely love the vast variety of food available! I have to admit, before the event, I had stalked the facebook and Instagram page to see which vendors were going to be available. I was immediately drawn to the Clean Cut Kitchen as being on a strict IIFYM diet it was fantastic to have the breakdown available. We had our own bar and bartender, as well as a large table reserved for the evening! The gin menu featured a vast variety of different Gins, and controversially against all the popular opinions at the moment – I don’t like Gin! The food from the Clean Cut Kitchen offered a healthy alternative to fast food, they had “clean” cheat meals which were completely customisable with all different options for different dietary requirements from vegan to gluten free! The Jazz musicians were a fantastic background to the evening and really rounded the evening off. I’d like to say a massive thank you to both Intu Victoria Centre for the fantastic goodie bags filled with amazing goodies and the Nottingham Street Food Club for the wonderful food and hospitality! I had such an amazing evening with unbeatable company. I picked up this product in a recent Beauty Bay sale where it was reduced down to £20 (compared to the £25 retail price), I’ve had my eye on this product ever since my friend’s wedding where the makeup artist used it on her and it looked amazing! The gel itself comes in three shades, two blush shades (Charm and Fluster) and one contour shade called Silhouette. 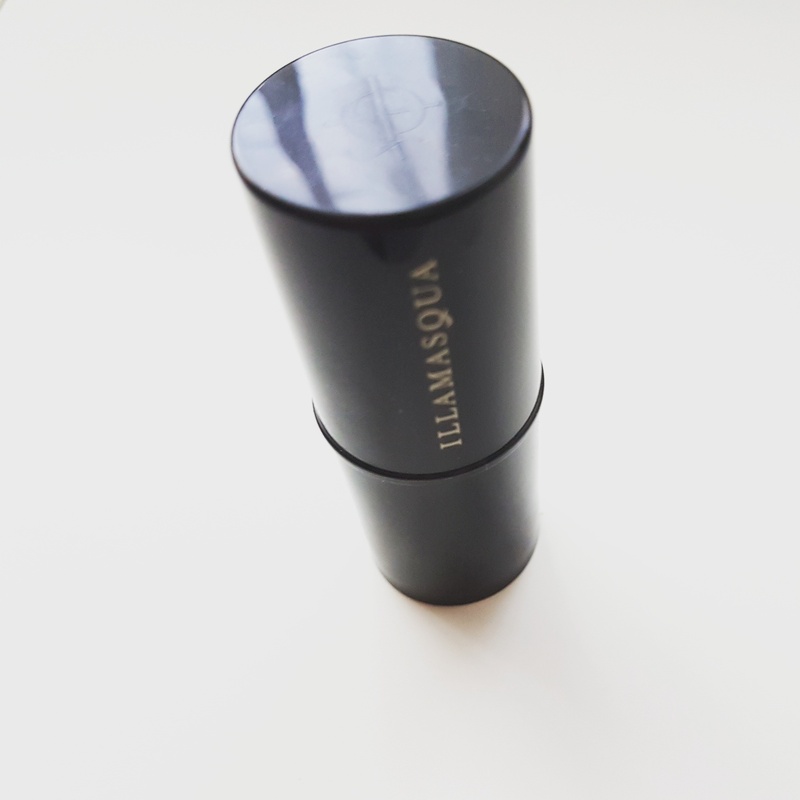 I was sceptical about buying a contour shade that appeared so dark in the tube as I’m extremely fair skinned, however the reviews on the website were very encouraging explaining that it was a very buildable product and suitable for even the most pale of people. The product itself is a gel like (hence the name I’m sure!) cream consistency and it comes as a stick, this makes it very user-friendly. Once applied to the skin it doesn’t feel heavy and it blends out like a dream! I use this product either on its own without any foundation or on the top of a foundation and both finishes are fantastic. The one thing that I would say is that I would always apply it before applying any powder products as it won’t blend out and create a “cake” face if applied after powder. I started off quite hesitant with applying and applied a small amount to where my contour would usually sit (in the hollows of my cheeks) and blended it out, after my initial trial, I realised that I could indeed use more product for a more effective contour without it looking too dark or muddy on my complexion. After using this a few times I have extended my application to include around my forehead and when going “full-glam” contouring my jawline and nose. I would say that this is an extremely versatile product and well worth the money I spent on it. Having previously raved about this foundation in my House of Fraser event post, I thought I’d write a post dedicated to this fantastic foundation! Having been an Estee Lauder Double Wear fanatic since I can remember, it was a shock to me to find a foundation that I actually prefer. Lancome has recently extended the shade range of the Teint Idole Foundation so I was able to get a match. The Lancome Teint Idole Foundation retails at around £30 depending on the shop which I’d say is averagely priced for a high-end product. It contains an SPF of 15 which isn’t an issue for me as I wear an SPF under my foundation whenever I wear it anyway, this may be a problem if you’re into flash photography as it may cause some flashback, especially if used in combination with a talc based setting powder. 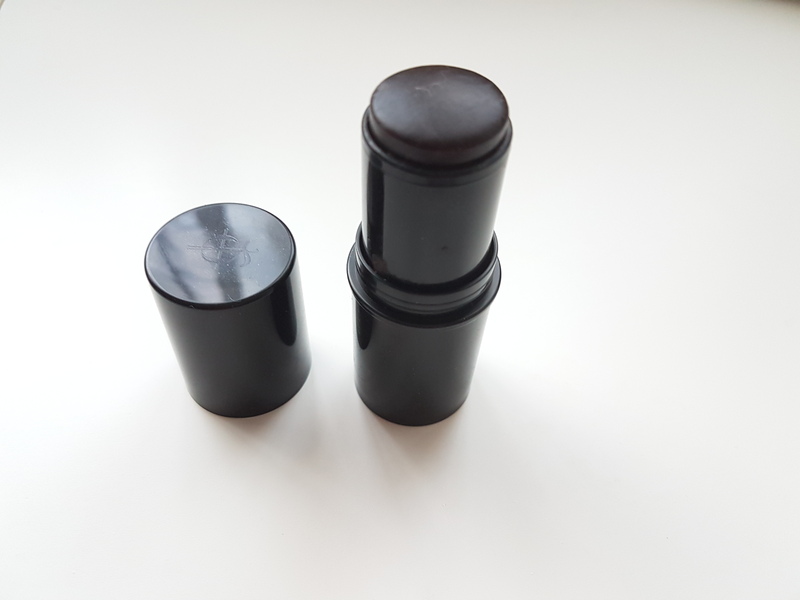 It has a light floral fragrance which I find nice and it isn’t chemically smelling – which is one of the very few downsides to the Estee Lauder Double Wear foundation. For the application, I use a flat-topped kabuki brush for buffing in and then using a beauty blender to bounce the rest of the product in (I usually spray this with setting spray for longevity). The finish is a very natural but medium to full coverage buildable look which stays put all day. I’ve tested this out at work (as a veterinary nurse) and it stayed in place ALL DAY, through a trip to the gym, all the way to bedtime where it removed nicely with my Garnier Micellar Water. To conclude I think this foundation is an excellent product and I can certainly see why it is being raved about by all the current beauty gurus! Two weeks ago I had the pleasure of attending a blogging event held at House of Fraser. The wonderful staff members there had arranged for a select group of bloggers to have treatments at some of the stalls selling products. We were met by the lovely Jake who had arranged the whole event along with the fabulous Flo a representative from House of Fraser. We were greeted with a glass of bubbly and began socialising! Once we had had a good chat with the other bloggers and the organisers of the event, I headed to the counter that I had been assigned. I was booked in to have my makeup done at the Lancome counter, this suited me fantastically as I was attending my a birthday party that evening. The Lancome representative did a fantastic job of my makeup giving me a subtle pink smokey eye, she used the highly raved about Lancome Teint Idole foundation which I’d been meaning to get a sample of for a long time (for reference I’m shade 005), I have to say that this foundation has become my new favourite, it’s so light weight but gives an excellent coverage. As a massive fan of Estee Lauders Double Wear foundation, I much prefer this. I never thought I’d say that I prefer a foundation to the double wear as it has been my holy grail foundation for the past four years! After having our treatments done, we had a chance to have a chat with the Vita Liberata representative. I’ve always been VERY hesitant to try fake tan as I’m pale as a ghost and have a mental image of me ending up like Ross from Friends! She applied the new body blur in the shade Light to my arms and I LOVED the look it gave me, I actually looked a healthy colour! At the end of the day, there was a VERY generous raffle with some amazing prizes (congrats everyone who won!) I had such an amazing day and I appreciate all of the hard work that was put in by everyone to pull this together.